When buying your first home, there’s several moves you can make to avoid mistakes – from making an early KiwiSaver comparison, to looking into buyer’s agents. There can be so many plates to spin when closing the deal on your first house that no matter who you are, a little caution goes a long way. Even the very best real-estate investors get caught out by the unexpected sometimes, so to avoid as much hassle as possible read this list of seven of the most common first-home buyer mistakes. It’s important not to completely ignore your emotions, as they’re just as important for judging situations as your head is. The issue is letting them overrun your head and make the choice by themselves. Any and all transactions you make need to have a healthy respect for the math behind them. If you can’t justify your dream home with your budget, then the hard truth is you have to dream a little smaller, or save a little longer! Experienced homebuyers know that another house will always come along, and that there’s nothing worse than paying more than what a house is worth. Never get fixated on one house – it’s worth keeping a few on your mind at a time. These days, it’s all too easy to look at houses online. It’s worth using these sites as initial research before conducting a physical inspection of a house, but it’s a mistake to buy straight through a website. Looking with other people involved makes the process much safer – whether it’s family, friends, or an agent. Agents may even be able to point you toward houses that aren’t on the market yet, and filter out all the homes that don’t meet your needs, saving you time and money. It’s the listing agent’s job to sell the house to you – not to make sure you make the best possible choice. It’s unlikely a listing agent will try to mislead you in any way, but working out a deal through them and no one else may not give you the best figures. As a buyer, you’re free to work through a buyer’s agent. It is an extra cost, but it’s more than likely their help will save you more on the deal than you’ll end up paying them. First homes can sometimes come with deed-restrictions and conditions attached. Deed-restrictions vary on the neighbourhood, and can be significantly different. 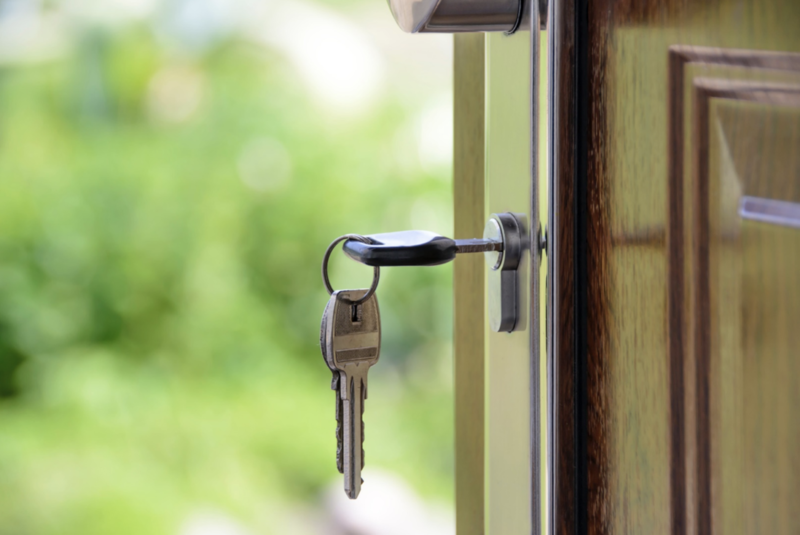 Some intend to make sure the property keeps its value, and aren’t necessarily a bad thing – just something you need to be aware of. Saving enough to make a payment on a house is a considerable feat, made even more difficult by rising rent costs. However, first-time buyers might not know of the incidental costs that come after making a down payment. Keeping three to four months of mortgage payments in reserve is a great way to avoid getting caught out by sudden costs or taxes. In New Zealand, you could be able to withdraw a portion of your KiwiSaver savings – as long as you leave a minimum balance of $1,000 in your account - to help with these costs. There are some extra requirements you should be aware of - such as needing three years of membership before making a first-home deposit withdrawal. Different KiwiSaver fund providers have their own regulations and options around this type of withdrawal, so you may need to compare KiwiSaver fund providers early in the process if you plan to bolster your savings with KiwiSaver. Lots of first-home buyers don’t get pre-approved for their first house transaction. A pre-approval letter from your bank gives you a great starting point for your budget, and it also makes the deal seem much more attractive to sellers, as they know there’s less risk of the deal falling through. It can take a couple of days, but getting a pre-approval letter as soon as possible makes the whole process a lot easier. In an attempt to keep people from defaulting on loans, stemming from the last recession, the rules around mortgaging a house have been re-written. Part of this change requires buyers to pay private mortgage insurance - or PMI – on property that they couldn’t make a down payment of at least 20 per cent on. First-time buyers are much more likely to pass on paying at least 20 per cent up front, and opt to pay PMI on their monthly re-payments. However, many people don’t realise that you need to contact your lender once that 20 per cent has been paid off, or else the PMI payments will continue to be added. Your lender should cancel the PMI as soon as you owe 78 per cent, but you can avoid paying any more than a month of PMI if you stay on top of it. Going into your first home purchase prepared is important, so you may as well take all the help you can get! Talk to Glimp today about comparing KiwiSaver funds in order to put your best foot forward when you find your first home!